Frank Grießhammer was born in Nuremberg, Germany. He studied Graphic Design at HBKsaar in Saarbrücken, and at ISIA in Florence, Italy. In 2008, his graduation project led to the creation of the experimental type foundry Kiosk Fonts. An internship at FontShop International brought Frank to the Robothon 2009 conference in The Hague, which was a turning point for his career. He had the chance to spend the best year of his life studying at KABK The Hague, and graduated with a Master of Design in Type and Media in 2010. 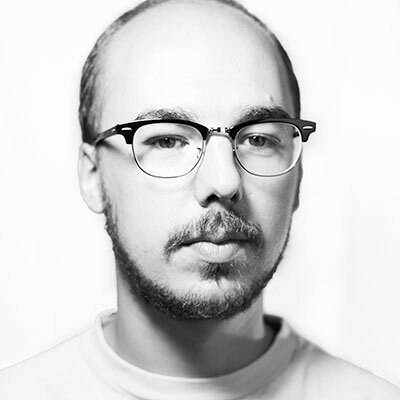 After a brief second stint at FontShop International in Berlin, Frank has been part of the Adobe Type Team since 2011, where he enjoys working on type and coding projects every day.